‘MathildaMathilda’ the Theatrical Show, crowdfunding and choir recruiting! On March 2nd my daughter Tomasin Cuthbert Menes and I came to the RWA to talk to the Friends about our collaborative project, a theatre show called ‘MathildaMathilda’. We are very excited about this work as it represents a significant leap in scale and ambition for Tomasin, and for me a fascinating drawing together of my artistic and musical practice into the world of theatre. The ideas for this show grew from my work as a visual artist and from my love of jazz, singing and song writing. Tomasin, whose company is called Soap Soup Theatre and is based in Bristol, creates shows for family audiences which tour nationally and are often supported by the Arts Council of England. Some of you will remember that Tomasin and I had a joint show in the Academicians’ Gallery last July, showing work in progress – storyboard ideas, paintings, designs, puppets and other objects created with our show in mind, or from which we are drawing inspiration. The all-important ‘MathildaMathilda’ Crowdfunder – we hope you can help with a contribution, however small! We won ACE support last year for Research and Development but this year we were turned down at the first attempt for funds for the next phase. We are reapplying, but it means that we now have to fundraise to make sure the project goes ahead. The launch date is fixed for May 18th and 19th at Weston super Mare Museum, tour dates being booked, and we will be touring the country during 2019 and 2020. Tomasin and I are determined to make this show as good as we possibly can. Without ACE funding we will not be paying ourselves but will concentrate on raising enough money to pay all the wonderful gifted people in our team. We have already held a fundraiser at The Art Shed in Winscombe. Another is planned in Bristol for April 13th 11 – 5 pm at Puppet Place near Spike Island, where paintings, cake and vintage clothing will be on sale, and lots more things to tempt you! We are also running a Crowd Funder. Please follow the Crowdfunder link to read all about this. Join our choir and sing at the launch! For the launch and also perhaps for our performance at the Wardrobe Theatre Bristol on June 2nd we are forming a choir, Soap Soup Community Choir. There are three songs specially written for the show and our Musical Director the highly talented Jannah Warlow will be arranging and conducting the choir to perform alongside Tomasin and myself. I have been lyric writing and the music has been written by my jazz accompanist and songwriting collaborator Ashley John Long, a virtuoso double bassist and composer who is one of this year’s Young Composers for the London Philharmonic Orchestra. Please note that the dress rehearsal is in Weston Museum on Friday evening may 17th and the evenings of the 18th and 19th are the performance dates. We may be able to arrange transport from Bristol to Weston for those without a car. Thank you, and we hope to see you at one of our performances! 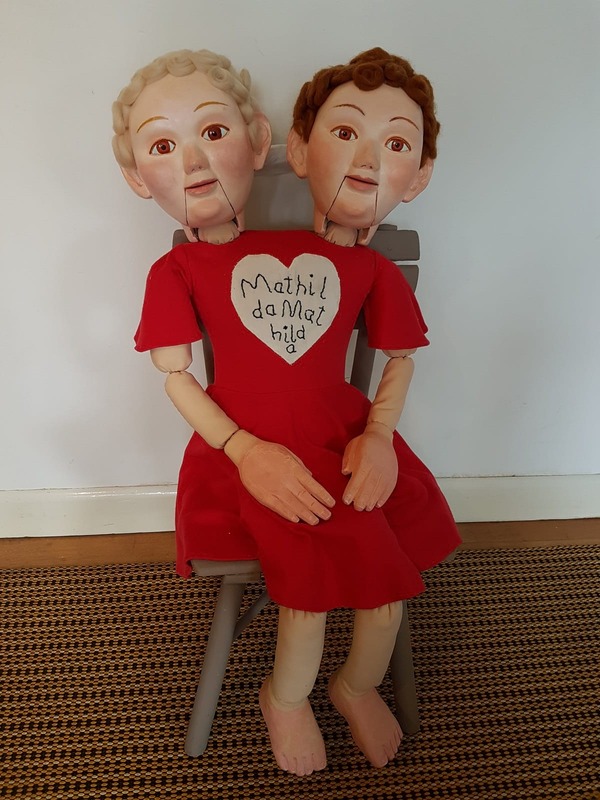 Support the ‘MathildaMathilda’ project on Crowdfunder here.